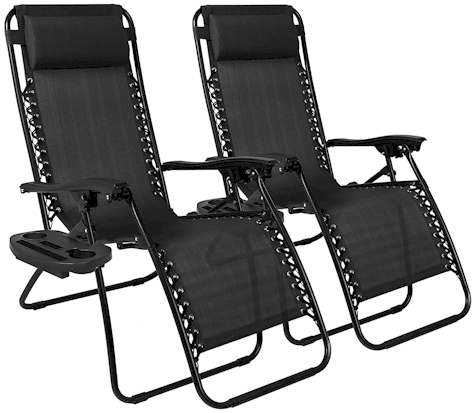 Amazon has got this pair of black Zero Gravity chairs in black for $62.05 ($31.03 per chair, wow!) with free Prime/SuperSaver shipping. 4.3 out of 5 stars and an Amazon #1 Best Seller.